The contents of your pint glass have a much richer history than you could have imagined. 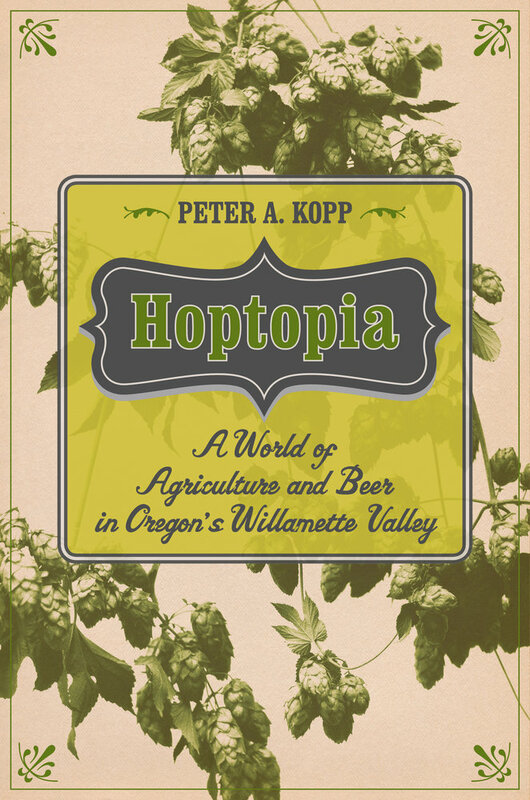 Through the story of the hop, Hoptopia connects twenty-first century beer drinkers to lands and histories that have been forgotten in an era of industrial food production. The craft beer revolution of the late twentieth century is a remarkable global history that converged in the agricultural landscapes of Oregon’s Willamette Valley. The common hop, a plant native to Eurasia, arrived to the Pacific Northwest only in the nineteenth century, but has thrived within the region’s environmental conditions so much that by the first half of the twentieth century, the Willamette Valley claimed the title “Hop Center of the World.” Hoptopia integrates an interdisciplinary history of environment, culture, economy, labor, and science through the story of the most indispensible ingredient in beer.